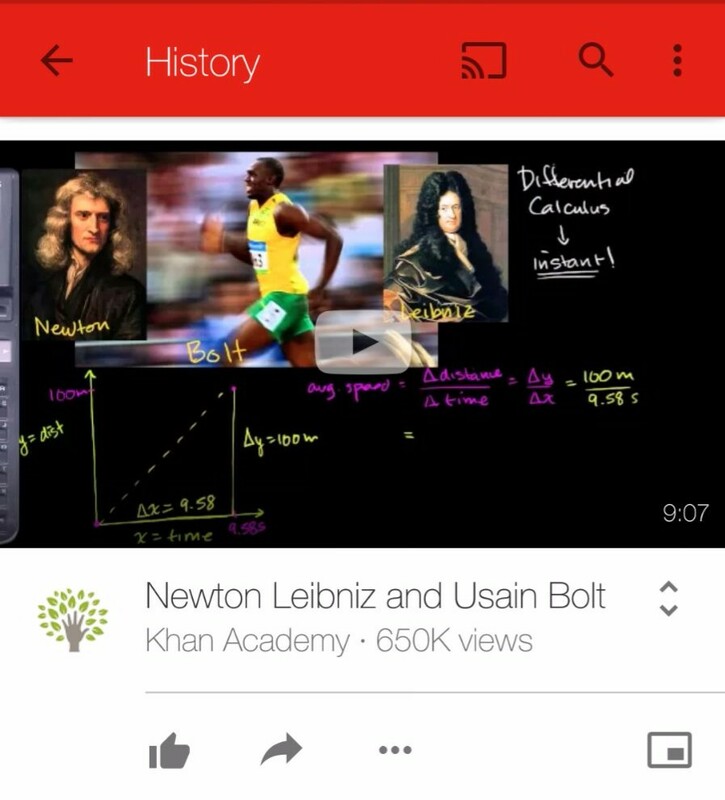 The starkest difference can be found when you're browsing through a list of videos, whether it's the Videos tab that appears when you're viewing a YouTube channel or the History feed showing everything you've watched. Here content now appears as a series of large thumbnails that take up the full width of the screen. 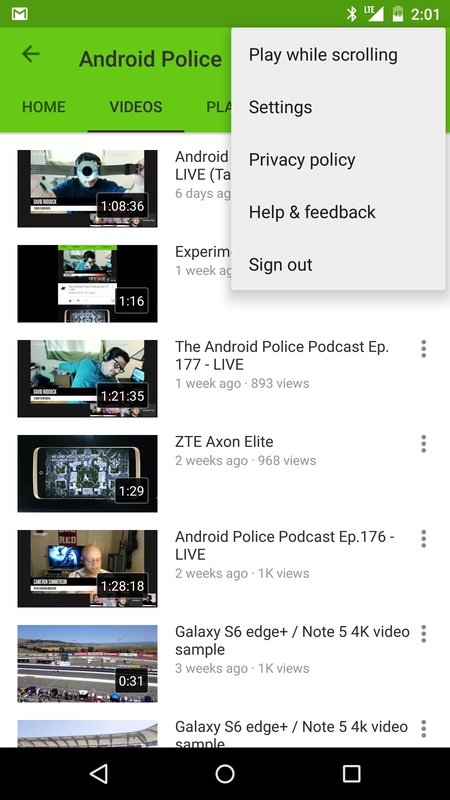 You can tap on one to start playing without switching to the video's page, and you can continue to scroll through the list of available clips without affecting playback. 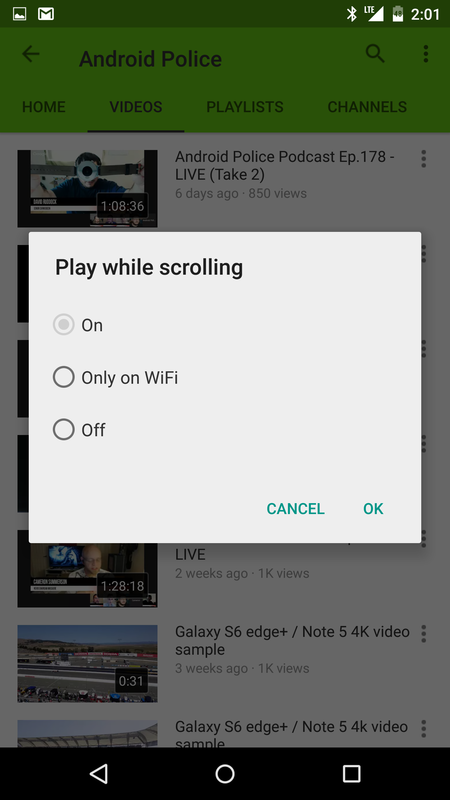 But if you rather have that video play in the corner, there's a new button to open them there directly. Also, if you turn your phone or tablet sideways, these thumbnails will take up the entire screen. You can still browse the list by swiping up or down. These changes appear to be toggled server-side, as we haven't come across the new interface ourselves even with the latest APK installed (version 10.36). 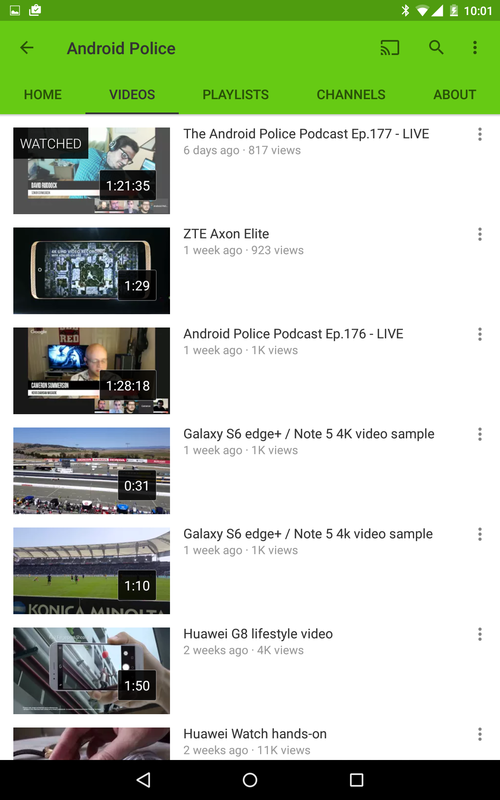 For the sake of comparison, here's what the Videos tab currently looks like for most users. Expect additional coverage once we know more. Marco Mendoza has reached out to us with more videos that provide a much better look at the changes in action. Below we have a better look at the large thumbnails you will now see when browsing through a list of videos. You also get to see the ability to continue scrolling while a video is playing, an option that you can toggle on or off.